There is a certain faction of Catholics that believe the Second Vatican Council was a mistake. They point to the Catholics who live in opposition to Church teachings and blame the Council for causing the problem. The facts don't line up with the accusations however. The 1960s were a rebellion against all sorts of authority, affecting not only Catholics but non-Catholics and even non-Christians. Likewise, the most infamous of the dissenters predated the Council. They weren't formed by the Council. They took advantage of the confusion to form people in the image they wanted, invoking the meaningless term "the spirit of the Council." In fact they were following the spirit of the age. 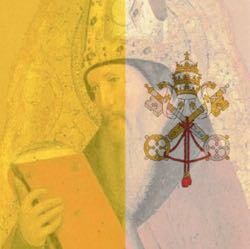 The accusations of Vatican II causing the turmoil is a post hoc fallacy. It presumes A is followed by B. Therefore A caused B. If this is charge against Vatican II is true, then the Lateran V Council (1512-1517) could be said to have caused the Protestant revolt beginning in 1517. Both charges are ridiculous. Both Councils happened at times when the undercurrent of rebellion was growing and both times the rebellion exploded after the Councils. But neither Council caused the rebellion. But with both the "spirit of Vatican II" and the opponents of Vatican II, logic and reason -- as well as obedience to the Church -- seems to be lacking.